Home Belen birth birthday birthplace Christmas close close family ties Family infant Jesus Jesus Jesus Christ parol pasko yuletide yuletide symbols Yuletide Symbols VII: "The Christmas Holy Family"
Welcome to the last part of my Christmas special for this year! 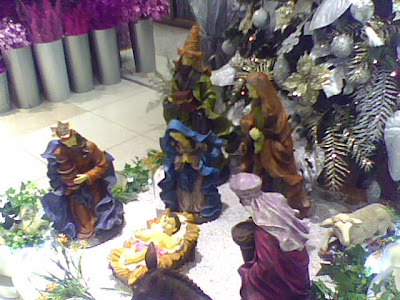 Like the previous, these pictures were taken in the SM Mall in Makati City using my mobile digital camera! How important to you is your family? As a Filipino tradition, we have the so called, "close family ties" which keeps a bond between each members of the family. And during special occasions like Christmas, family reunion is still in practice. With lots of foods or no foods at all, keeping each members of the family intact is the best spirit of Christmas for most of us! So for our last part, I know being a Filipino, Belen or the miniature Holy Family during the birth of Jesus Christ best symbolizes the Filipino Christmas! 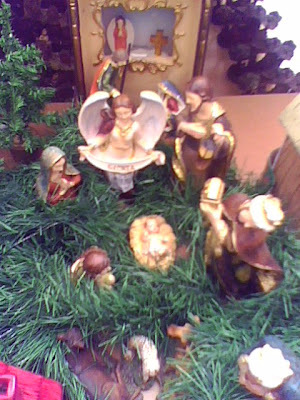 Therefore, I have here with you the different variations of Belen taken from the mall displays! Try to browse each of them. Which of them do you like most?! A Royal Birth of A King! Now, what can you say about each pictures? 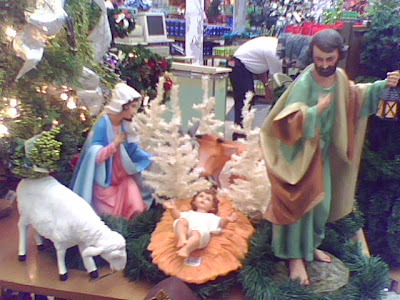 Do they exactly replicate the Holy Family when the infant Jesus was born? Which of the above images best portrays the birth of Christ? 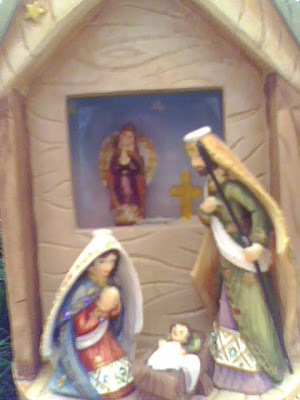 Being a religious person, Belen like the pictures above is my favorite Christmas symbol! 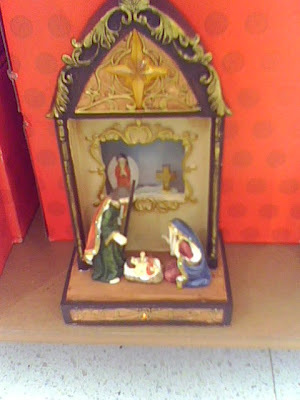 It remimded us of the story of Christmas and how Jesus Christ was born in a very simple place. Amazing to know that the 'King of all Kings' was born in a simple manger, a birthplace for the horse! This also reminded us how cruel the people in the world. 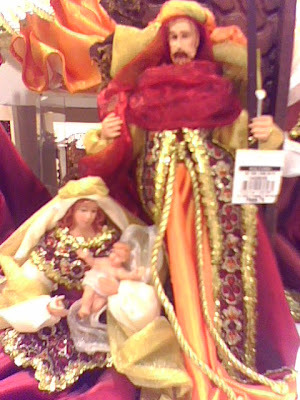 is During that time, they didn't even allow Mary to give birth on their houses leading Mary to gave birth in the manger! 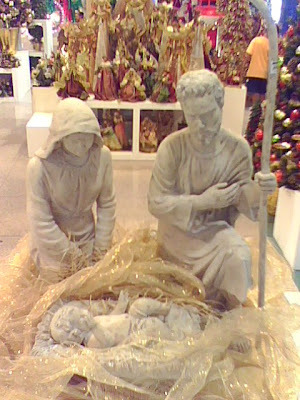 Well, if I were to ask you, will you consider Belen as the best symbol of Christmas?! 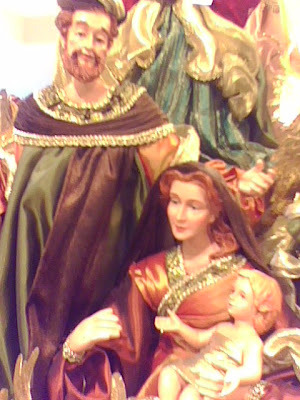 Or if you were to choose between parol and Belen as a symbol of Filipino Christmas, which of the two will you prefer? !